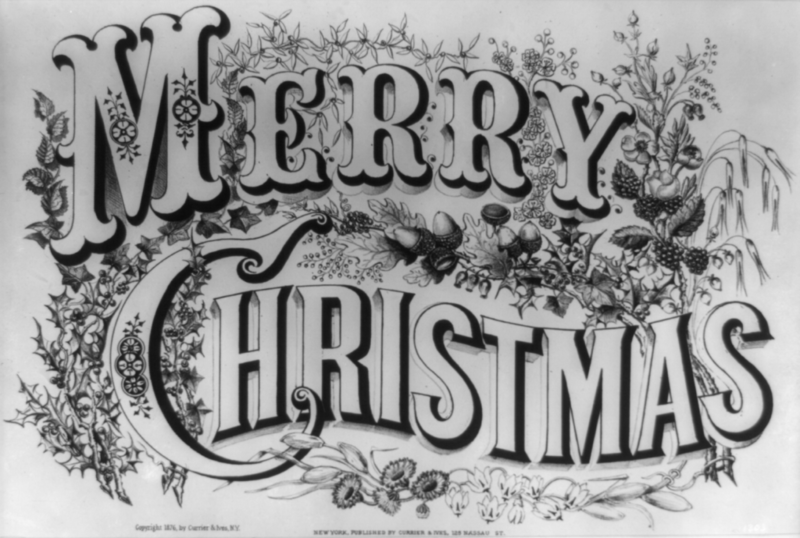 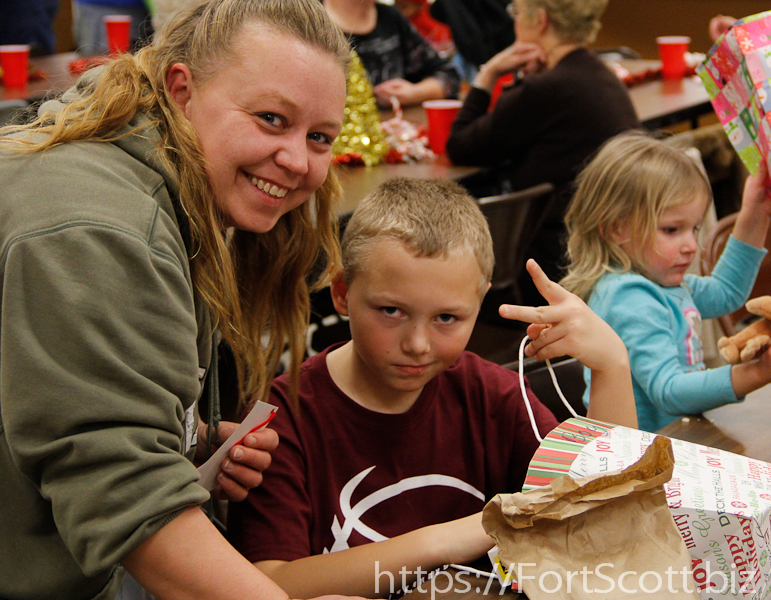 From all of us at Fort Scott .biz, we want to wish you a very Merry Christmas!! 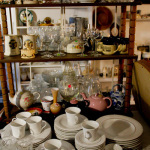 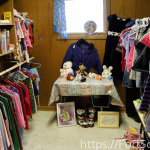 Arma, KS — If you are shopping on a budget, you are familiar with the thrift store. 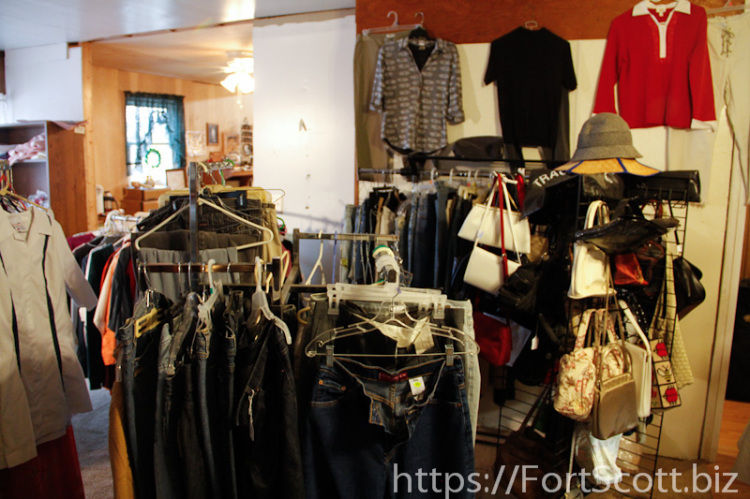 Everybody loves a good deal, right? 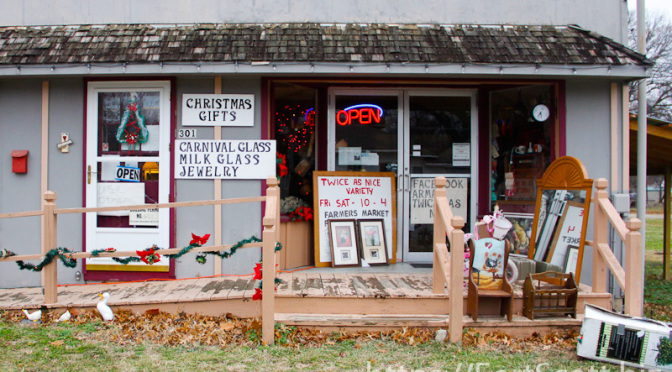 In the middle of Arma, KS, Twice as Nice is going on two years at their current location, 301 N West Street, Arma. 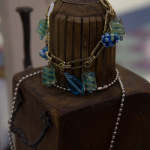 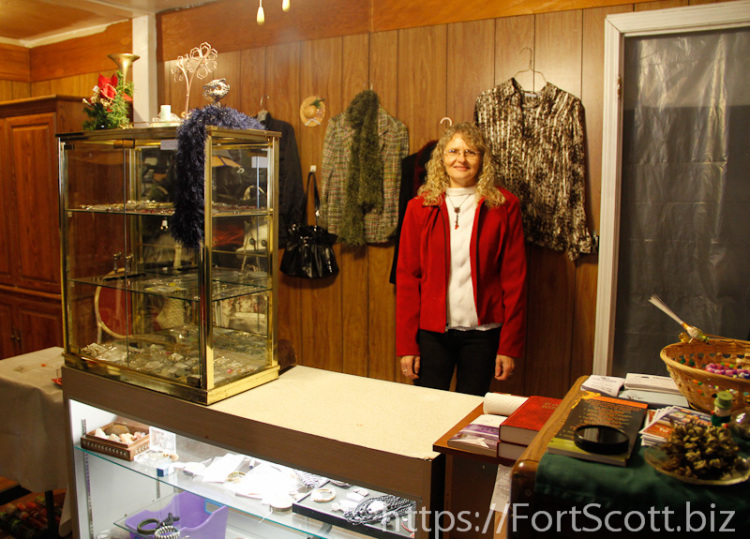 Betty Dehn, (pronounced deen) travels often with her husband and frequents thrift stores and antique malls. 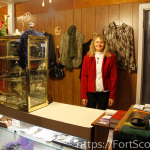 Two years ago, she decided it was time to start her own store. 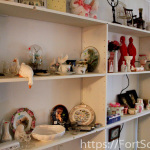 Being familiar with a piece of property that once had been a restaurant, made arrangements to move in. 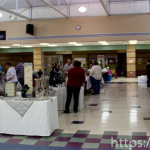 She started in the front two rooms and continues to expand as work get completed on the building. 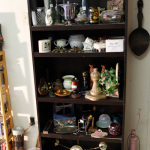 She has quite an inventory that is changing all the time. 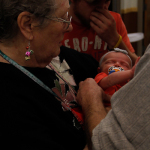 Being a grandmother with over 15 grandchildren, she knows how expensive providing basic items and gifts can be for all the children. 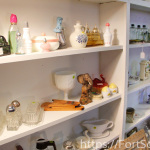 She really feels this is a ministry to provide very affordable home wares and clothing to those who may not be able to afford necessary home items. Currently, she is only open 10-4pm on Friday and Saturdays. 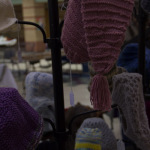 Donations are welcome during those times as well. 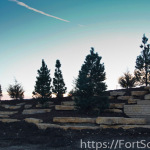 The best way to keep up with what is going on is to join their Facebook group page. 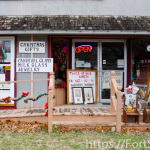 But if you want to take a peek inside hurry in before the end of the year because she will be closed January and February to catch up with all her grand kids! 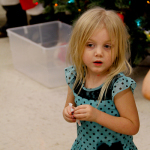 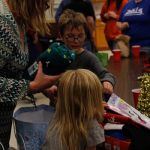 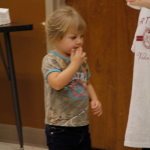 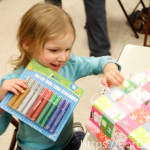 Arcadia, KS — For many years, a devout few in the city of Arcadia decided that not one child in the city limits would experience a Christmas without gifts. 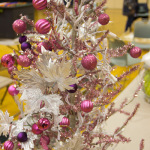 “Six girls and a guy” seem to be the horse-power behind the event that provides the dinner and the gifts. 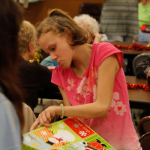 Of course, there are many who participate and donate to the cause through various ways. 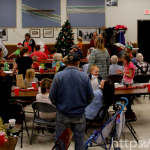 The event costs about $3,000 which is raised throughout the year with bake sales, community concerts, contributions from “Our Gang,” “Autumn Leaves” and anonymous donations. 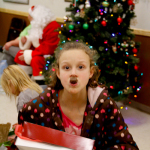 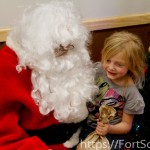 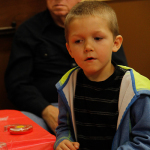 December 13th, almost 200 people gathered at the community center to have dinner, meet Santa and every child that signed up at City Hall received as much was possible on their wish list. The organizers even made sure to have plenty of extra gifts for kids who came who weren’t on the sign-up list. 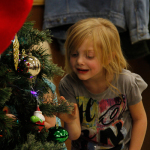 Fundraising efforts go on through the year, so if you are interesting in helping the kids out next year, contact Arcadia City Hall for more information: 620.639.4344. 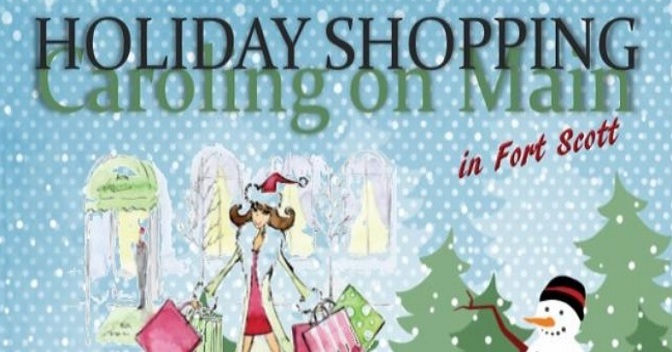 Main Street stores and stores around town, will be open later than usual for the Caroling on Main Street event. 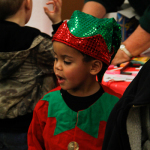 Caroling will be provided by the Eugene Ware Elementary students! 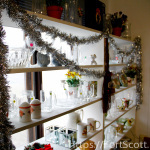 Also, if you enjoy a little treasure hunting, there will be 10 mistletoe hung with a special treat. 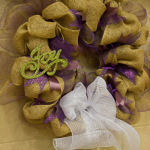 You can redeem your mistletoe for $10 in Chamber Bucks! 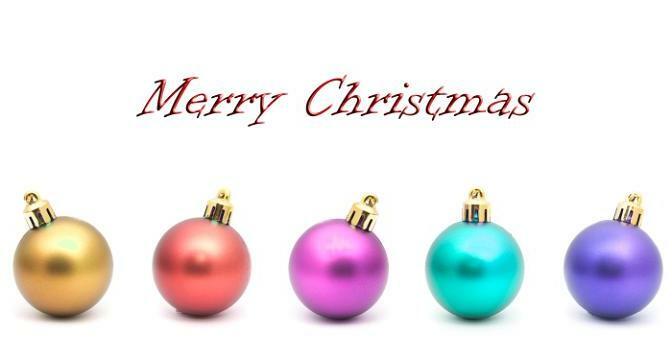 Hope you see you out there! 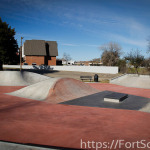 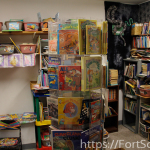 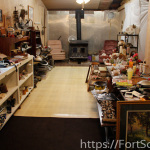 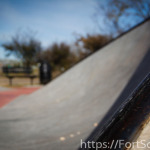 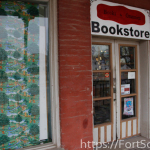 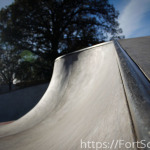 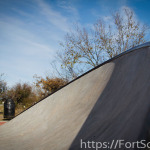 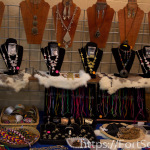 Fort Scott, Ks — If you don’t get downtown very often, there is a http://fortscott.biz/wp-admin/post-new.phptreasure trove of artisans and businesses providing services you may not have known where there. 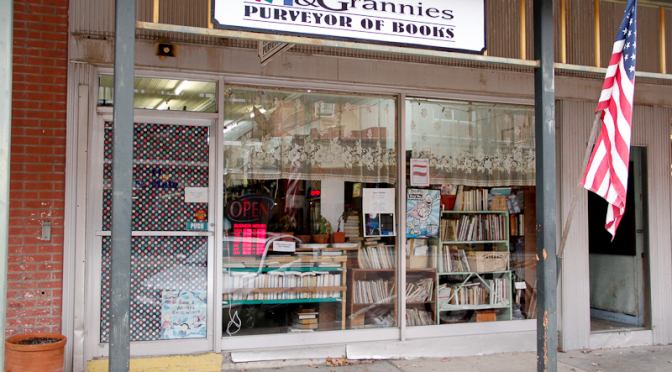 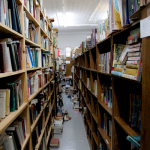 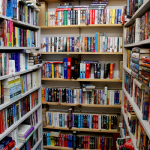 Books and Grannies was started in 2001 with a few bookshelves and a dream. 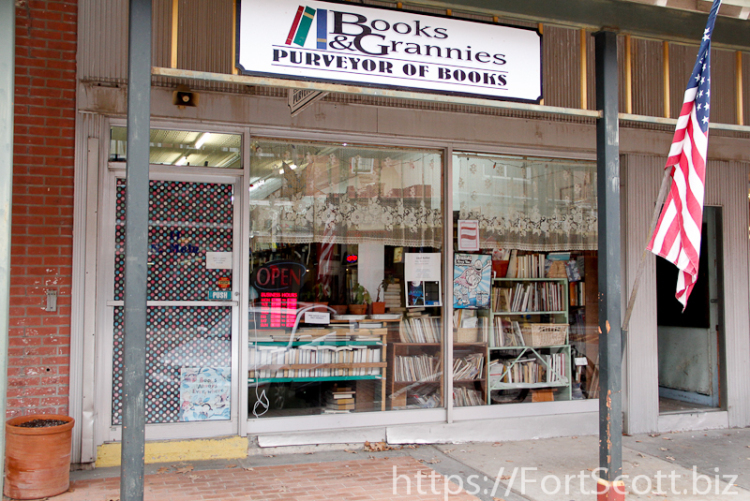 Roxine Poznich, chief purveyor of books, has always had a love for books and when a local bookstore was going out of business, she bought their inventory and Books and Grannies was born. 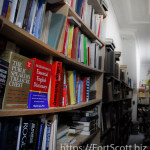 Of course, launching a business and keeping it running isn’t quite that simple. 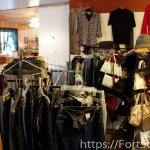 Over the years, the business has been in different locations before landing where they are now. 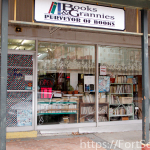 In 2007, was there last move to where they hope is permanent – 11 North Main in downtown. 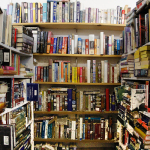 However, they have stayed steady and continue to have a very nice selection of books and customer base. 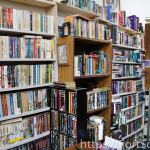 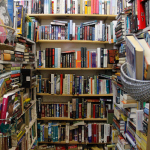 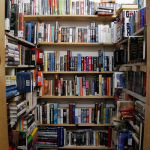 Estimating to have over 50,000 books, you will probably be able to find something you are interested in reading. 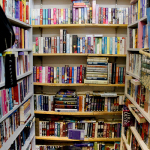 Owner, Roxine Poznich, said the most common books she sells are children’s books followed closely by romance and suspense. 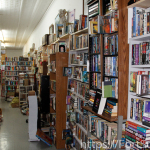 She carries paperback, hardback, older books and current books. 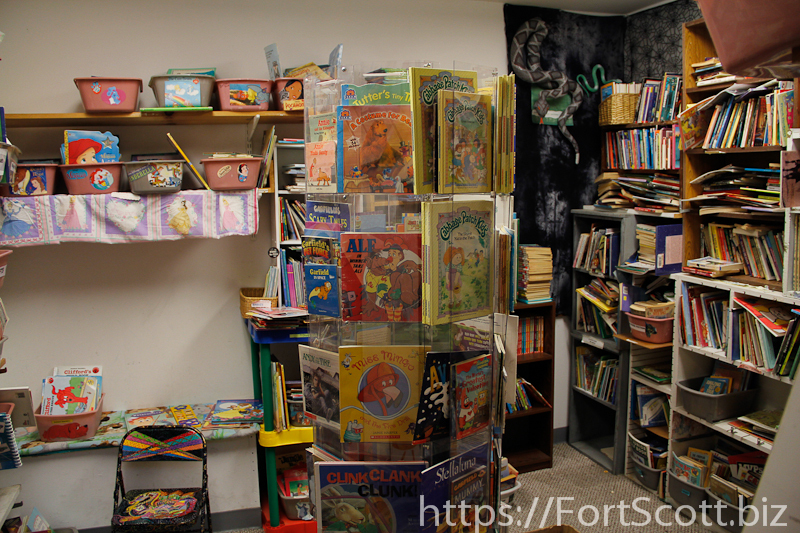 She also has a good size inventory of children’s books. 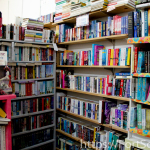 Adult books generally run between $4-5 and children books are generally $1-3. 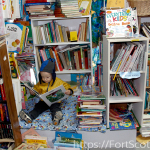 If you are looking for a gift for the book lover in your family, you will need to stop and take a look around before Christmas! 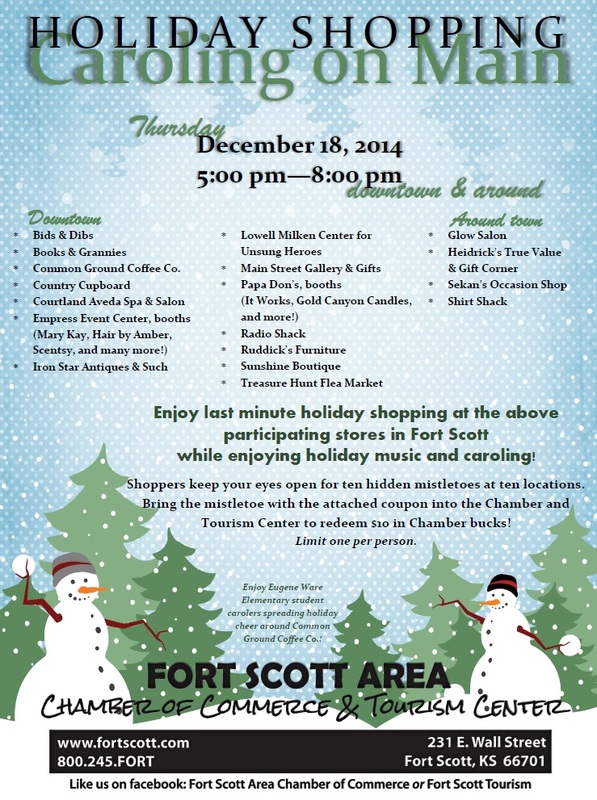 FORT SCOTT – The Fort Scott Area Chamber of Commerce announces the Holiday Lights tours for the 2014 holiday season. 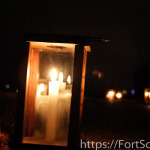 The tours will run from December 12 to January 8 in the evenings (Monday – Saturday) by group reservation only; minimum of 6 riders. 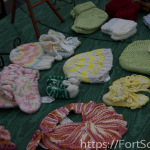 The cost is $7 for adults, $5 for children 12 and under. 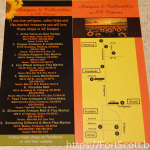 Tours are a great activity for groups, businesses, families, and other organizations; maximum of 12 adults per tour. 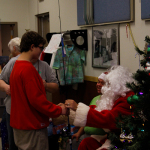 Tours take place on the current trolley substitute, a festive and handicap accessible shuttle. 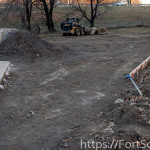 Proceeds from tours will benefit the fund for a new trolley. 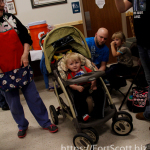 The trolley adventure is sure to be entertaining as “Elves” from the Fort Scott Community College theatre department will be leading passengers in Christmas carols and other entertainment, including local comedian Kevin Allen (Skitch) throughout each tour. 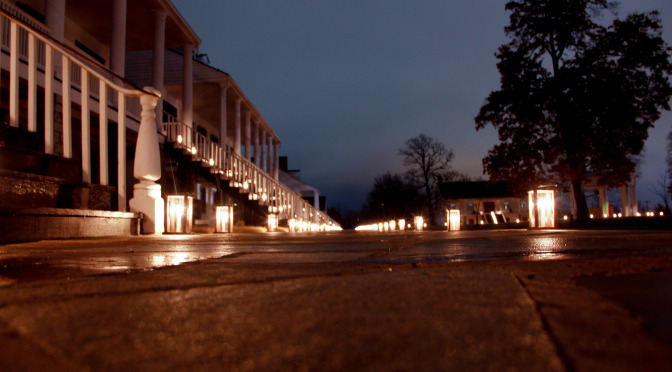 Glow necklaces will be presented to each rider and complimentary hot chocolate and cookies will be served before each tour. 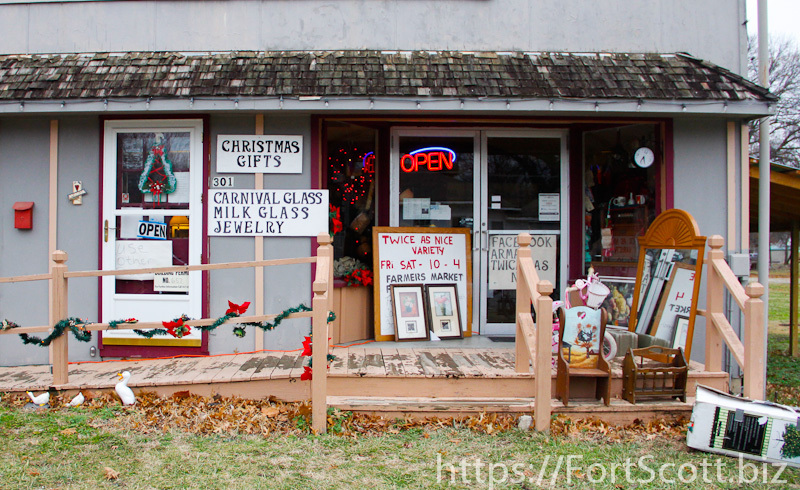 Homes, neighborhoods and businesses in the Fort Scott area are encouraged to get in the spirit by festively decorating with Christmas lights and other exterior decorations. 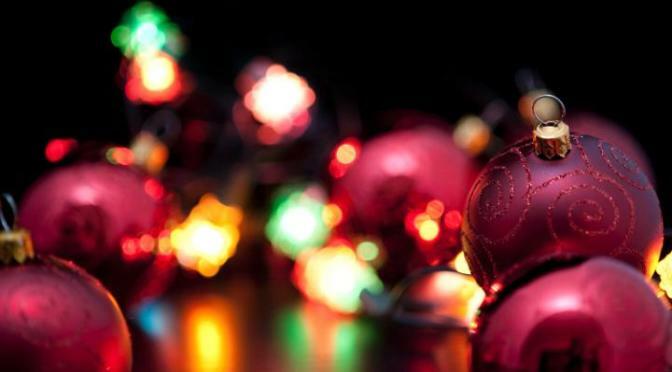 This year the Chamber will have a selected committee that will take the tour prior to December 19th to award the 1st, 2nd and 3rd place light displays. 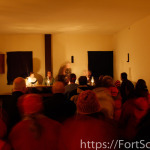 Contestants do not need to officially enter with the Chamber. 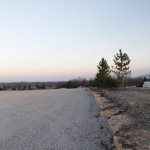 The committee will be judging all properties in the city limits. 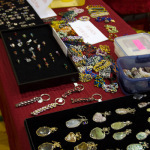 Those winners will be presented with a 1st, 2nd or 3rd place award as well as a Chamber Bucks certificate. 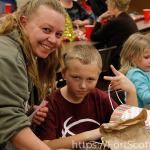 To make reservations for the 2014 Holiday Lights tour, contact the Fort Scott Area Chamber of Commerce at (620) 223-3566. 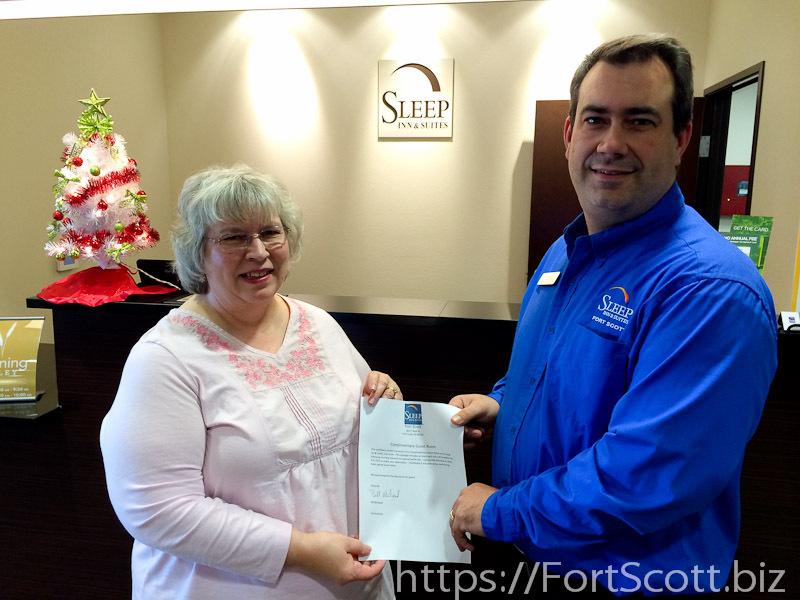 Fort Scott, KS — We are pleased to announce the winner of our Sleep Inn Give Away! 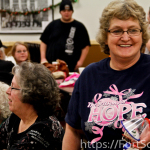 We are happy to introduce you to Donna Spencer as our winner. 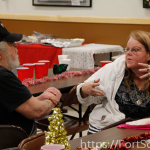 Donna is receiving the certificate from Bill Michaud, Owner. 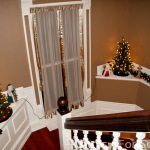 Don’t forget Sleep Inn, if you have friends and family coming in town for the holidays looking for a place to stay. 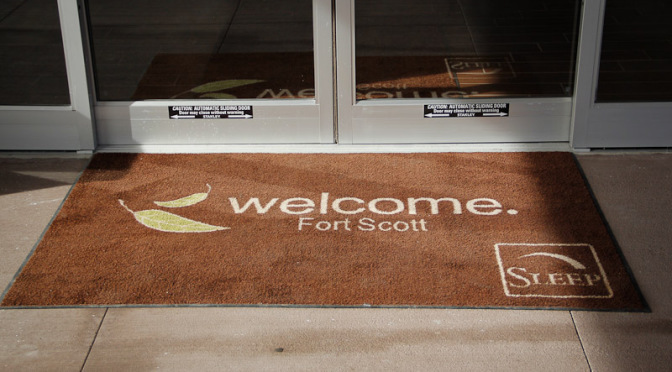 They have a wonderful new facility and a great staff working hard to take care of you. 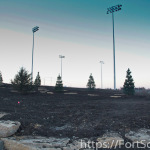 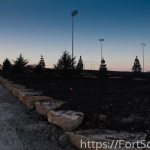 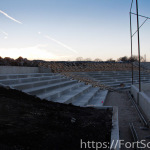 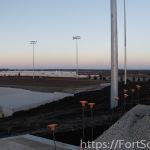 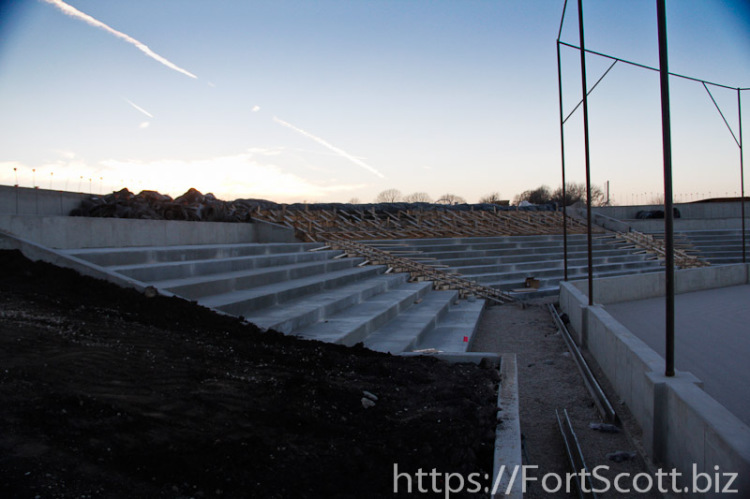 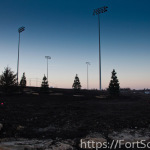 Adam and Jennifer LaRoche had the vision to create a top-notch baseball complex for Fort Scott High School, so they would not have to work their practice schedules around a shared field with the Fort Scott Community College. 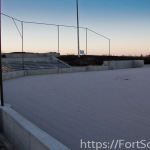 In an open letter, (you can read here), the LaRoche family writes about how baseball and great coaches have impacted their lives and want to help build a complex that will continue to provide opportunities to others. 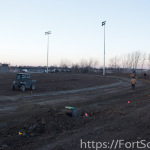 The price tag for the complex is around $2 million, which the LaRoche family has provided up front to get the project started. 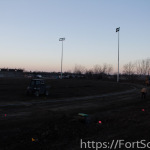 Dave Martin, City Manager, (along with other agencies) are looking for sponsors to come alongside and sponsor the building project. 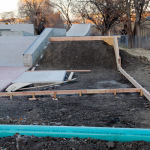 Any community members are welcome to contribute to the building fund. 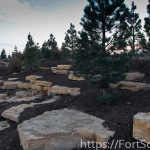 If you are looking for a major place to contribute, there are many ways. 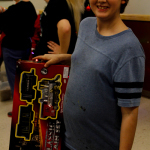 You can click here to see amounts need to sponsor different components. 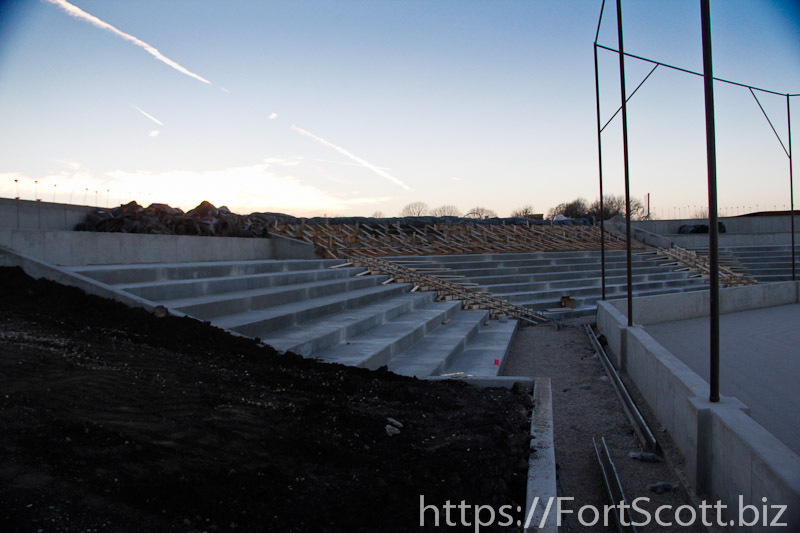 If you are looking for smaller way to contribute you can click here for a complete list, including seat sponsorship. 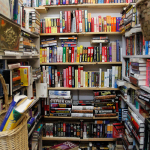 All of these can be paid over a three year period. 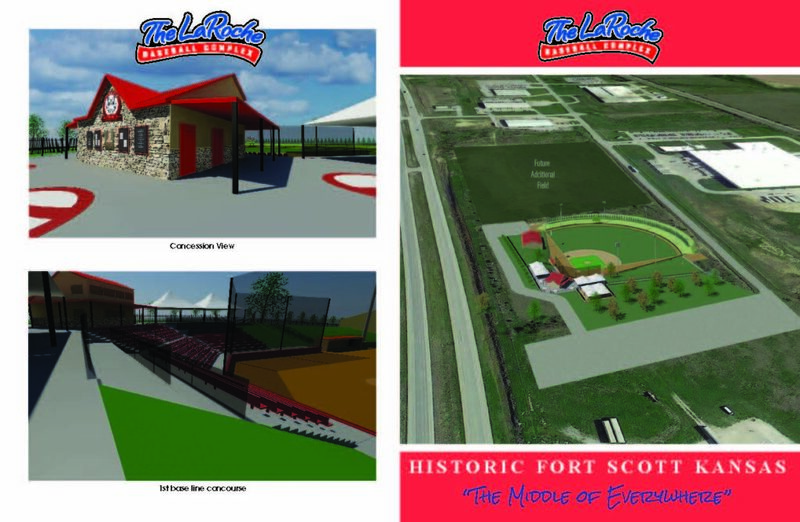 LaRoche vision is eventually to host concerts, tournaments and other revenue producing events to boost local economy and help with upkeep costs for the field. 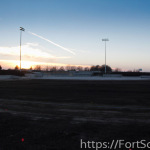 A joint agreement between the school and the city, will be responsible for the maintenance and upkeep of the ball field. 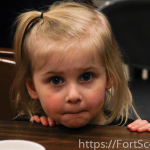 If you would like to make a tax-deductible contribution, please contact Cathy or Marlene at the Fort Scott Area Community Foundation. 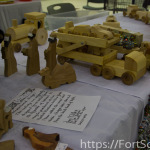 Fort Scott, KS — Last weekend the Historic Preservation Association of Bourbon County (HPA) was very busy and most likely recuperating this week. 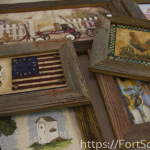 You can visit their full web page here. 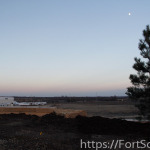 Friday night, Moonlight and Mistletoe, an event hosted by Bob and Denise Duncan at their renovated corporate building into a beautiful 8,000 square foot living quarters. 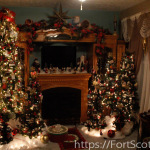 Saturday and Sunday, the holiday homes tour were going on – allowing visitors to tours some of Fort Scott’s older homes. 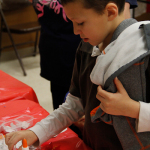 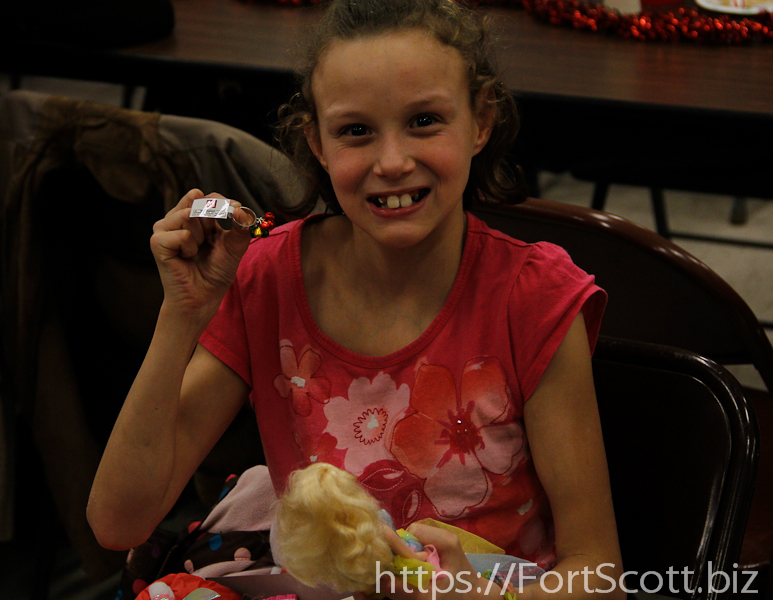 Also, HPA hosted the annual Stocking Stuffer craft fair at Fort Scott Middle School. 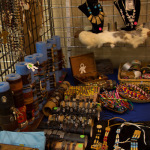 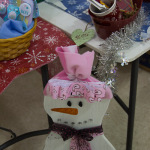 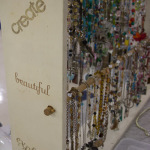 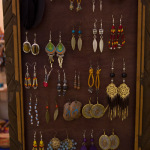 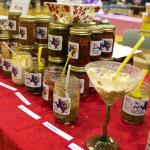 Rhonda Dunn, coordinator, reported 36 vendors were on site to offer a wide variety of crafts and stocking stuffers. 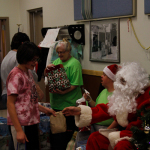 These events are the main fund-raisers they do once a year. 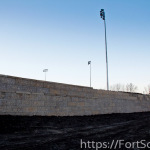 The HPA is responsible for maintaining many of the historical sites in the county and often match grants from the city to assist in restoration projects of down town Fort Scott. 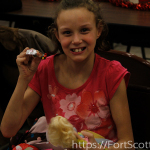 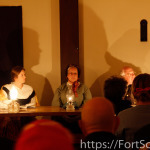 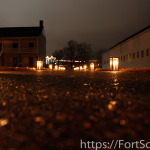 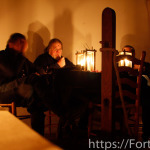 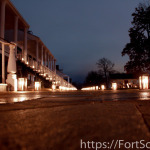 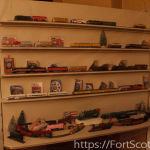 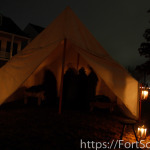 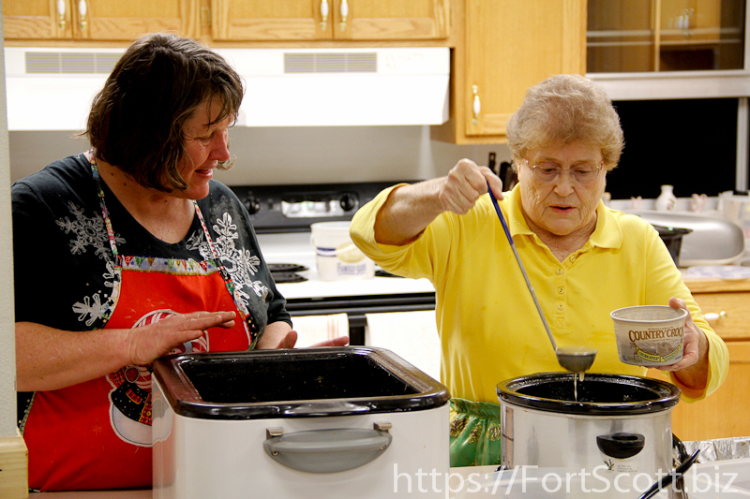 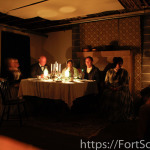 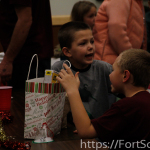 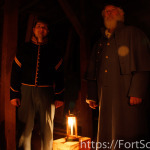 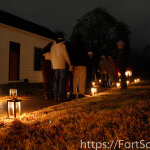 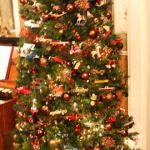 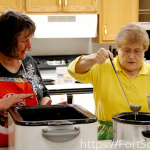 Fort Scott, KS — On December 5th and 6th, Fort Scott National Historic site hosted their 33rd Annual Candlelight Tour. 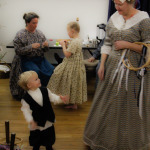 Actors and tour guides take you back through a re-creation of what was going on many, many years ago. Following the tour, there were light refreshments and social with actors who continued to carry the theme of the evening in costume, music and games. 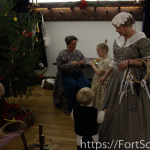 Each year, the Fort selects a different time period in which to re-enact. 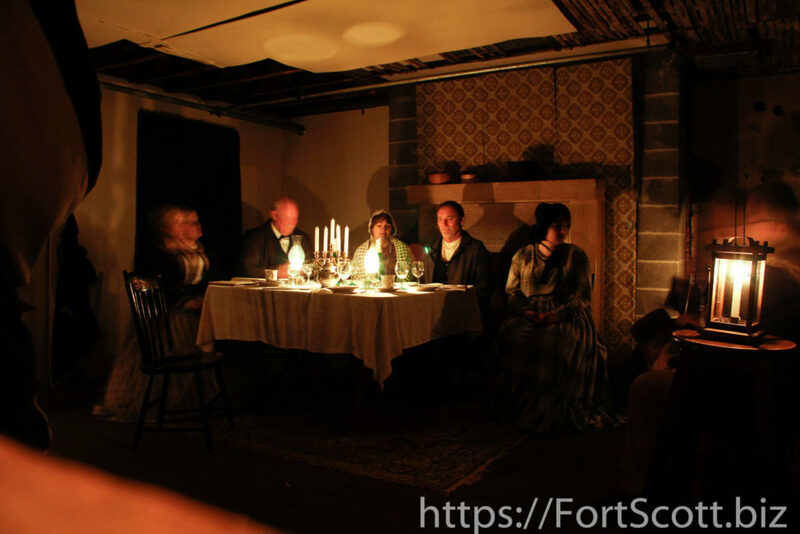 This year’s focus was 1864 and Fort Scott’s weary eye upon General Price’s advancement in Missouri and procurement of the Fort’s vast supplies. 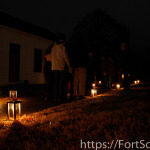 At the Fort, over 700 candles were lit and over 100 actors including community members and students from Fort Scott High School. 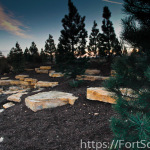 Fort Scott is a National Historic site with over 20 historic structures, a parade ground and five acres of restored tallgrass prairie. 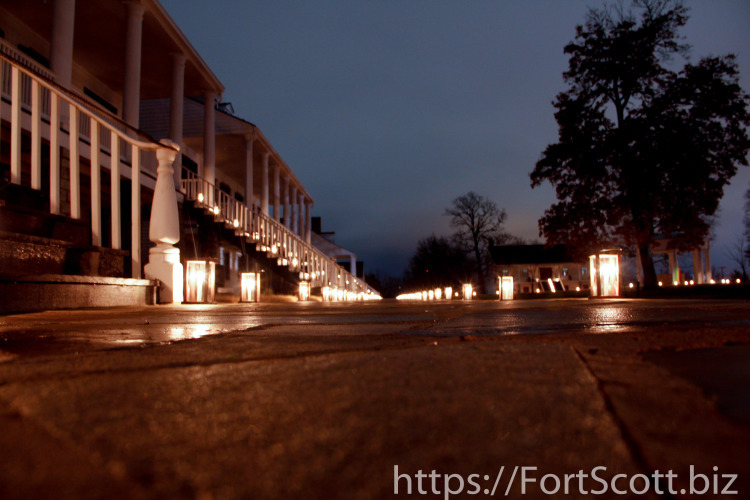 The Fort is open for self-guided tours and is a wealth of historical information. 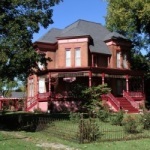 Many thanks to volunteers who have put in countless hours to help preserve the rich history in our community. 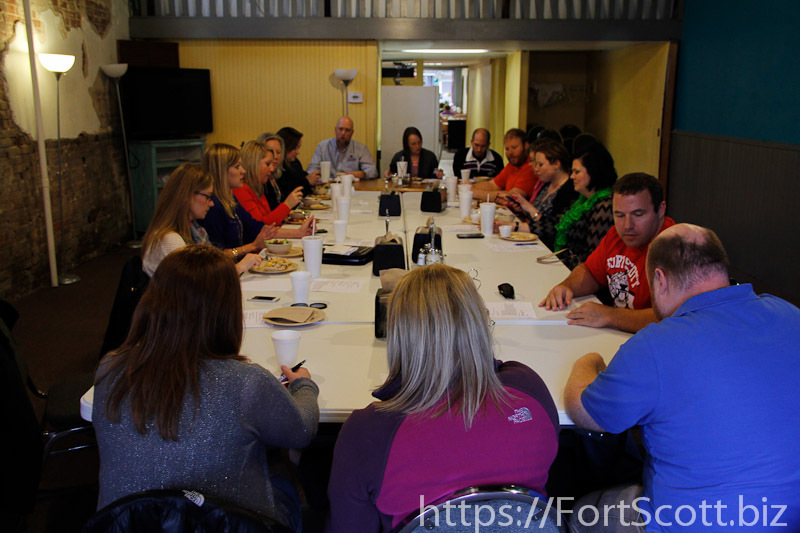 Fort Scott, KS — Last Friday, the Young Professional of Bourbon County (YPL) held their annual meeting at Papa Don’s. 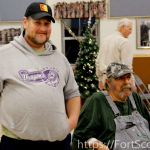 The meeting had several agenda items including a check presentation to the Beacon of the proceeds made from the Soup Line and the elections of 2015 officers. 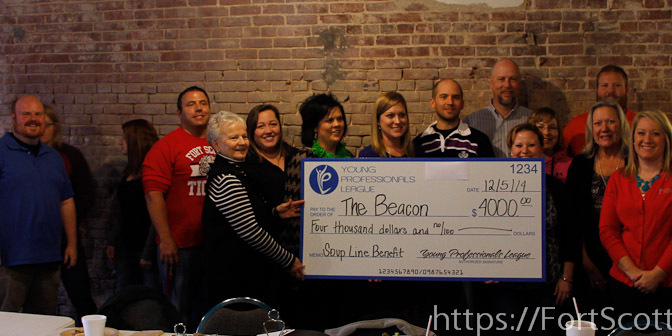 The Beacon Soup line raised $4,000 this year and was presented to Connie Banwart, the Beacon Chairperson. 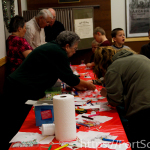 YPL is working on several events coming up in 2015. 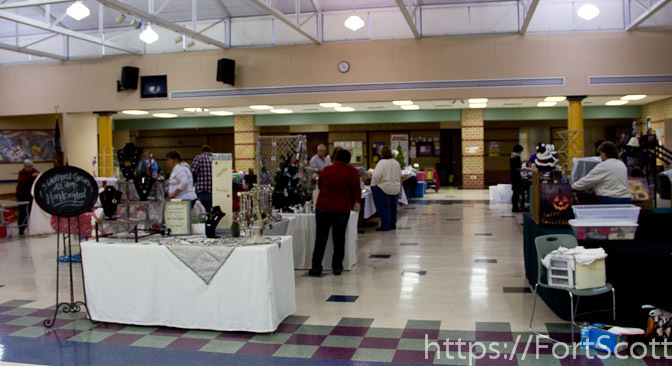 Some of these events are Career Day at FSHS on January 9th, hosting the Chamber Coffee on January 15th. 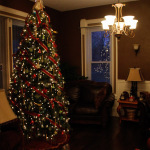 YPL also had members volunteering for the Holiday Homes Tour. 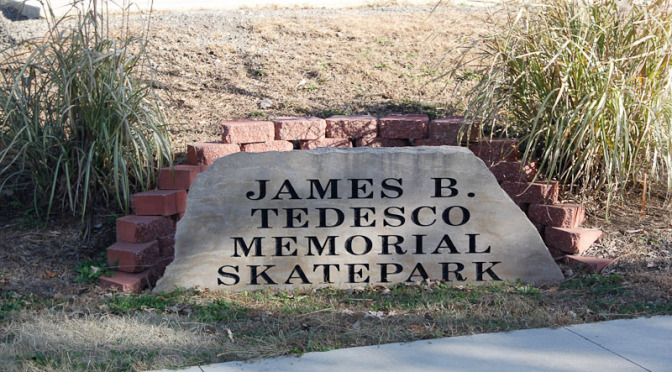 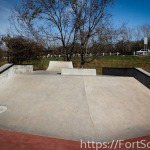 Fort Scott, KS — Construction has begin on the James B. Tedesco Memorial Skate park expansion. 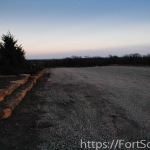 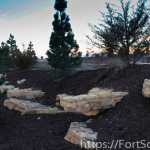 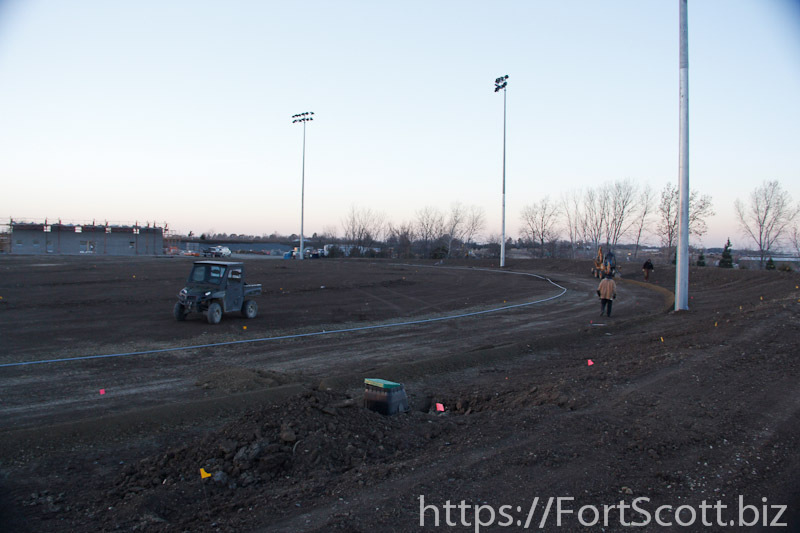 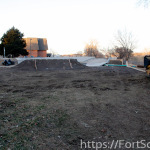 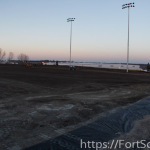 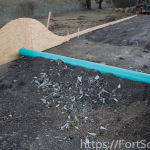 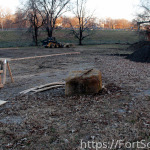 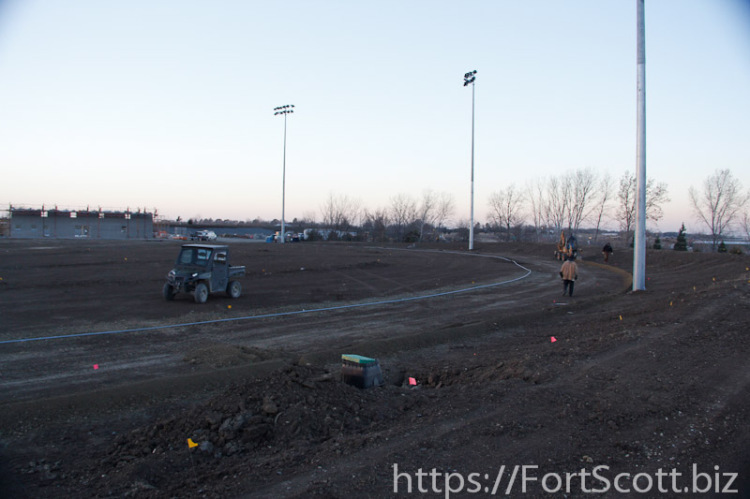 The construction crew arrived in Fort Scott on November 25th and have been doing the preliminary dirt work and set up a few forms for the expansion areas. 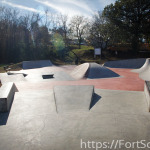 The park is located at 4th and Scott street and you can view their Facebook page here. 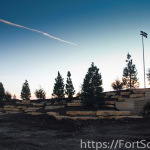 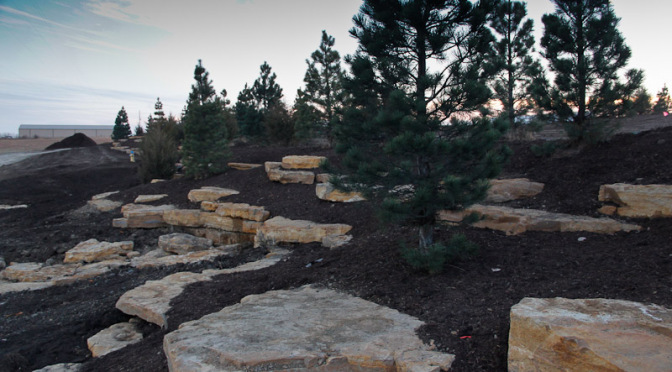 The park was originally constructed in April 2012 and now with a generous gift from Steve Tedesco, a businessman from Colorado, has made the expansion possible. 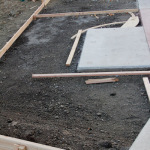 Construction is hoped to be completed by the end of the year.